Looking to add something extra special to your Instagram account? Start using videos to break up your feed. While images still rule Insta-land, Instagram users are warming up to videos. This graph from Newswhip certainly points that way! 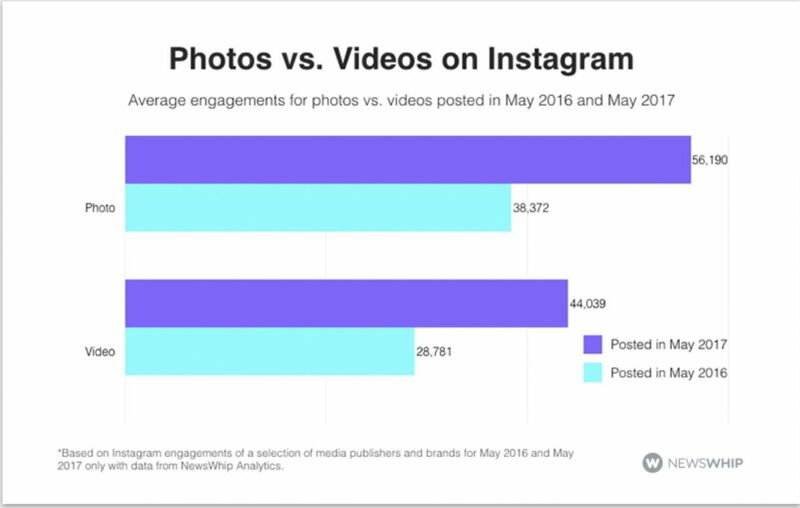 Yes, photos still receive more engagement than videos. However, video is playing catch-up quite quickly and, based on its increasing popularity, the gap between the two is likely to keep on shrinking. 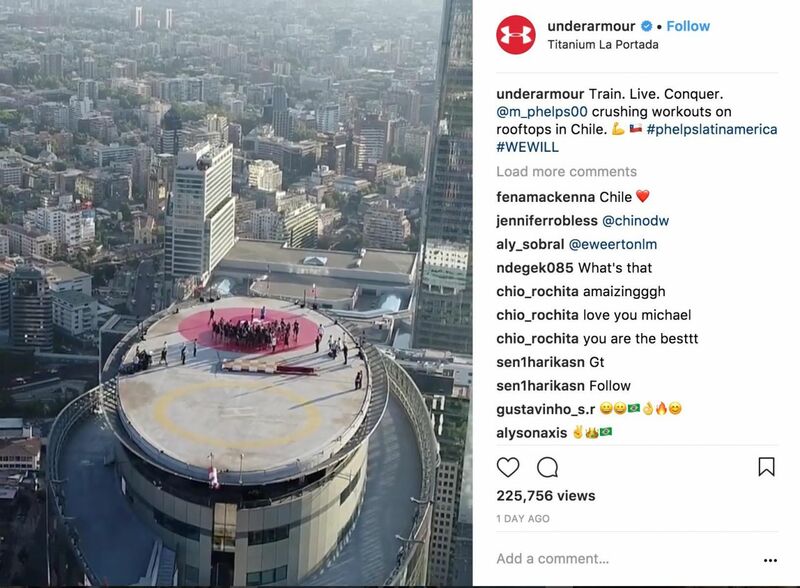 Adding video to your feed can show off a different side of you and your business, and it helps to grab users’ attention, so let’s take a look at brands who are creating awesome videos for their Instagram feeds (and see how you can do the same). 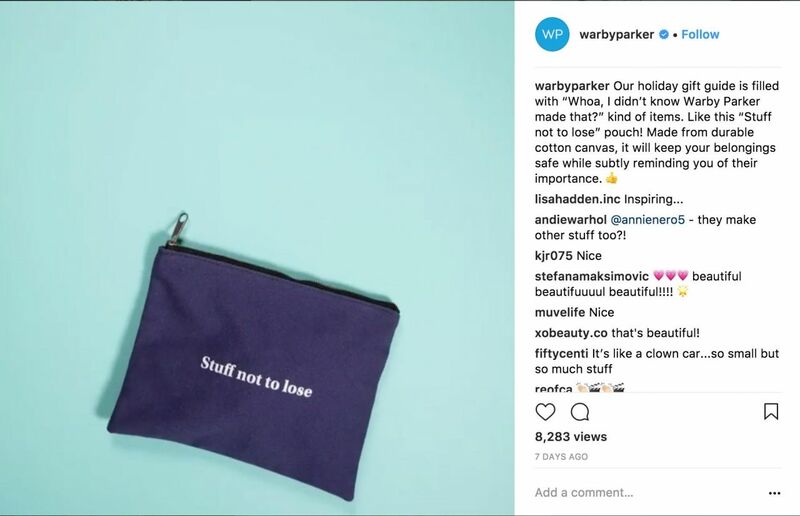 This stop-motion video from Warby Parker is a fun way to show off a new product and highlight its potential uses. Let’s face it, canvas bags aren’t all that exciting. The gorgeous background and assembly of items, however, make the introduction far more interesting than a pic with a bullet-point list. Use stop-motion videos to show off your product in a new, exciting way. If it can be done with a canvas bag, it can be done with anything. Boomerang for Instagram is a fun tool for capturing a short moment and replaying it. 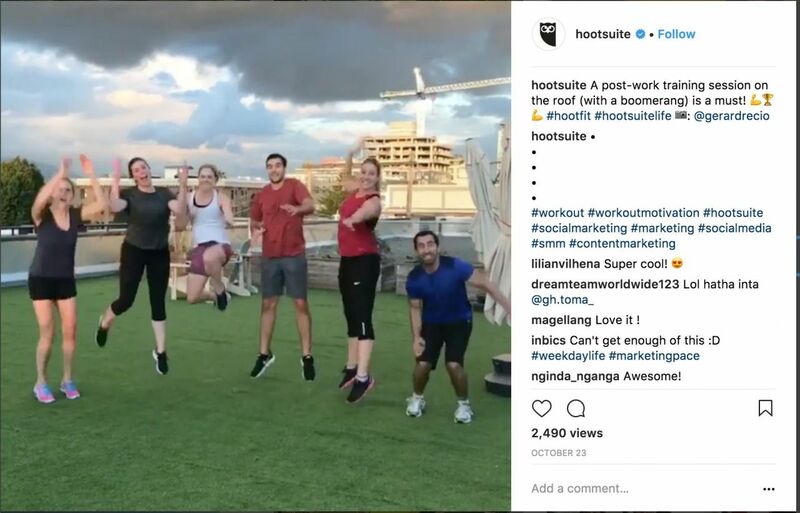 The Hootsuite team used it with great success to show off their post-workout victory jump. This creates an instant connection with the viewer — who hasn’t gotten super excited after something like this? Use Boomerang to capture and share all sorts of human moments: a win, excitement around a product launch, or your very own victory jump. Do you have a YouTube channel or do you regularly create longer video content for other platforms? You can use Instagram video to tease that content and drive people to it. 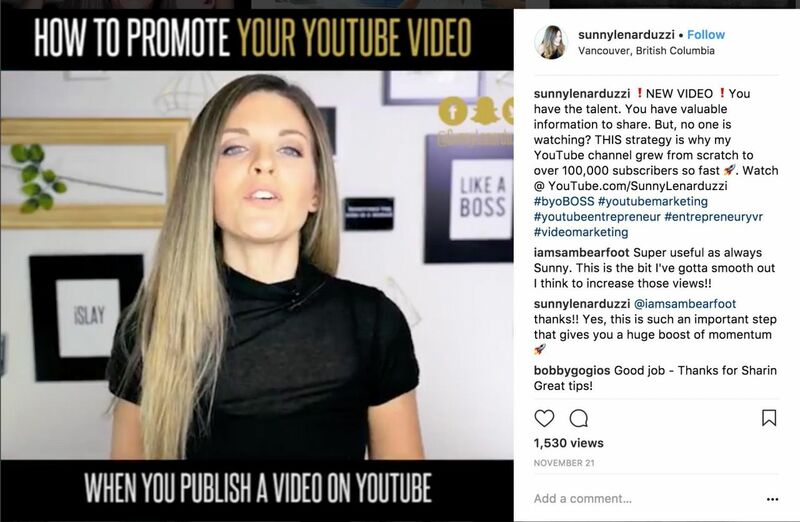 That’s exactly what social media marketer Sunny Lenarduzzi does in this short video. Lenarduzzi teases a longer YouTube video from her channel and directs viewers to it. This gives her Instagram followers a taste of what’s to come. You can make teaser videos about your blog posts, a special promo, or a product launch. Show off collaborations or projects you support. 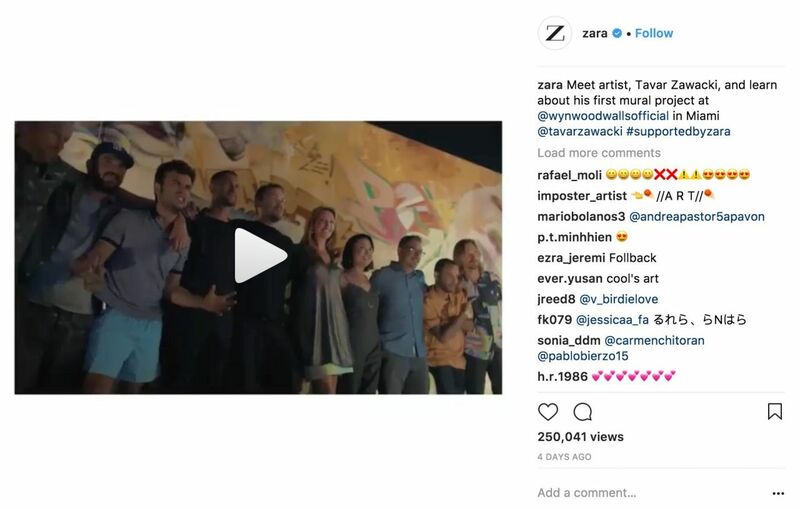 For Miami art week, retail chain Zara shared a few different videos featuring projects and artists they sponsor. Use video to shine the spotlight on people or businesses you work with and share your common endeavors with your followers. This shows off a different side of you and highlights that you’re more than just a business. Plus, it introduces your audience to people they’ll probably love. In this video from Under Armour, we start very close to the subject before zooming out to the grand cityscape. This style of video looks gorgeous and can be super effective. If you’ve got access to a drone, a birds-eye video like this can add some special flavor to your feed. This type of video is phenomenal for travel or real estate brands. Let’s say your audience is picking between two different hotels. They head over to Instagram to check out some pics. One brand has a video that zooms out and shows off the entire gorgeous neighborhood. The other doesn’t. Which one would you pick? Sadly, this video has now been removed! What’s your business or brand known for? What do your customers associate with you? 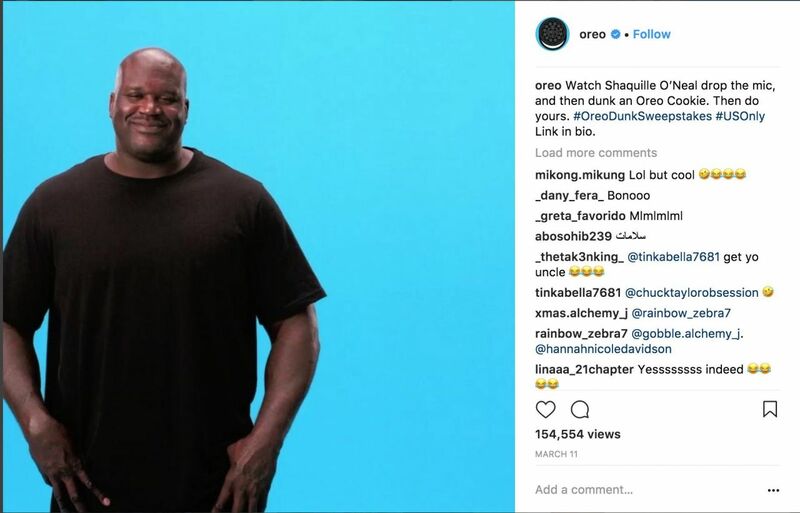 Oreo are known for dunking cookies into milk, so naturally, they created a series of videos of various famous personalities doing their own take on the dunk. Basketball legend Shaquille O’Neal is known for a different type of dunking, so he was a natural fit for the series. Yes, we know not everyone has the likes of Shaq on speed dial, but you don’t need to for this to work. Instead, look at your latest marketing campaigns and make a list of the top things your followers associate with you. Make a couple of fun videos that play off the associations in a fun way. Any activity can become super interesting when sped up — especially if it involves candy. 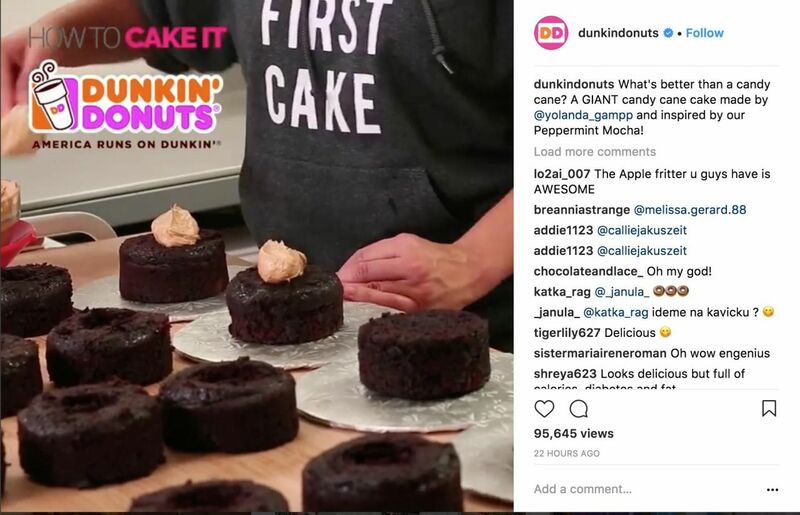 In this video, Dunkin’ Donuts show off the process behind creating a giant candy cane, but you can use this video technique for pretty much anything. You can create a time-lapse video of getting your product ready for launch or speed up a day at the office to show some behind-the-scenes footage in a unique way. The possibilities are limitless. 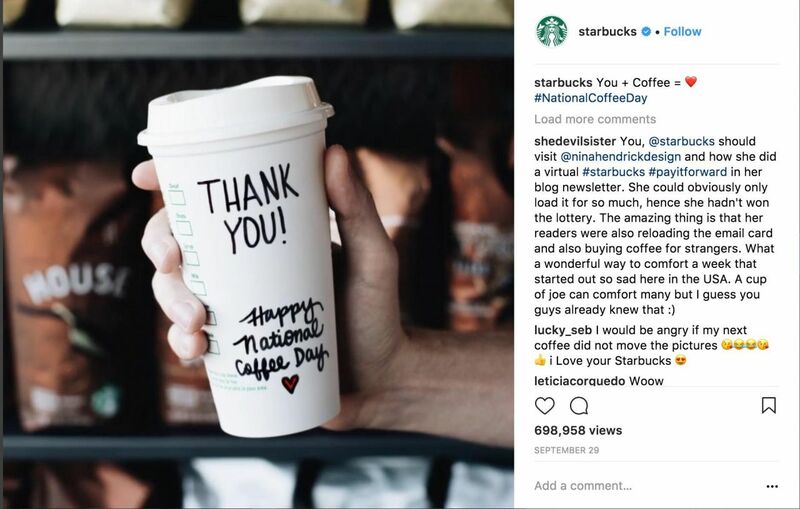 In this short video celebrating National Coffee Day, Starbucks shared a few stats about their coffee. It fit with their overall aesthetic, is super quick to watch, and makes people feel good about drinking coffee. This type of video can work for you too. What about your product or your process makes your customers feel good? How can you share that info in an interesting way? These eight ideas should be plenty to help you get started, but if you don’t have the time or resources to do the sort of production and filming we see in these ads, that’s where Biteable can come in. Biteable is a quick and easy way to make fun videos to share with your followers, and the video will look like it was created by a team of professional animators and designers (largely because it was). 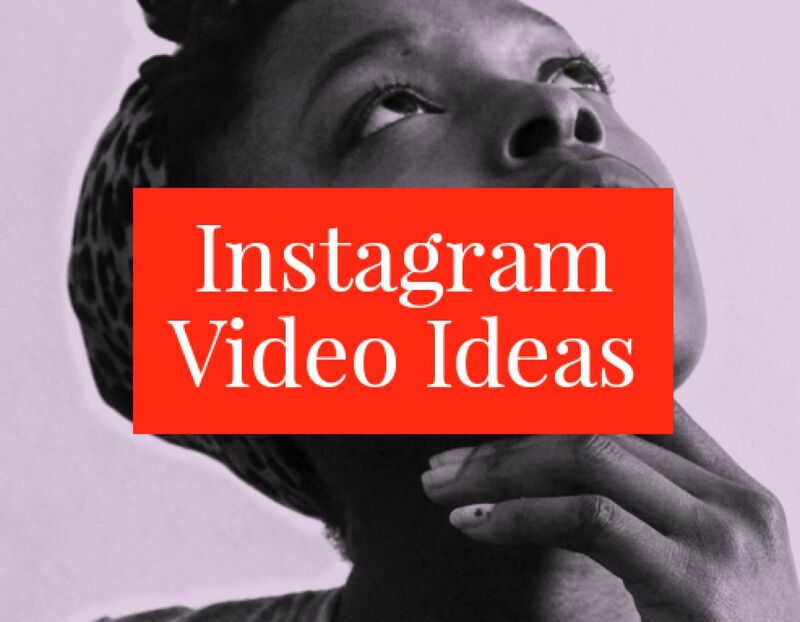 Try one of our ready-to-go templates to make a killer video for Instagram in a couple of minutes, or sign up for a free account using the widget below to create something from scratch (don’t worry, it’s really fast to do it that way too).